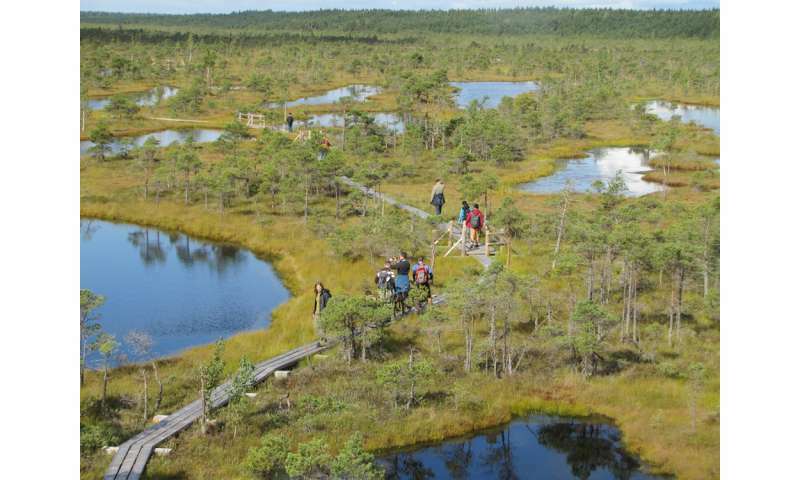 Rising temperatures were a key driver of peatland formation after the last glacial maximum, according to new research. Researchers from the University of Leeds, the University of Bristol and Memorial University in Canada, have simulated the local changes in climate that took place across the world during the last 26,000 years, when the glaciers of the last ice age began to retreat. Combining the simulations with radiocarbon dates of peatland initiation they discovered that higher local summer temperatures, rather than increased rainfall, led to the formation of peatlands in formerly glaciated regions such as North America, northern Europe, and Patagonia. Lead researcher Dr Paul Morris, from the University of Leeds' School of Geography, said: "This work helps explain the genesis of one of the world's most important ecosystem types and its potentially fragile carbon store. "It is important that we strengthen our knowledge about the causes of peat initiation, particularly given the concern about future climates, and the important role that peatlands play in combatting climate change." Peatlands are important ecosystems because they are one of the largest biological carbon stores on the planet, and have captured vast quantities of carbon into the soil. They are formed entirely of organic matter but are thought to be sensitive to climate change. Peat forms over thousands of years when plants and organic matter are unable to fully decompose in waterlogged, acidic conditions, keeping their carbon from being released into the atmosphere. The new research helps build an understanding of the role of climate in peat formation, which is particularly relevant when considering how the distribution and abundance of peatlands might change under future climates. The research also shows the climatic changes that the world's peatlands have endured since they first developed, providing context for future warming. The authors warn that the likely rates and severity of future climate change far exceed what the world's peatlands have previously experienced, leaving their huge carbon stores potentially vulnerable to degradation. The research is published online in the journal PNAS the week of the 16th April 2018. Peat-based climate reconstructions run into murky waters?